It is not necessary for everyone on a team to like one another in order to achieve leadership. Focus on the mission can overcome personality conflicts. The 1908 Chicago Cubs proved that concept while winning the world series. 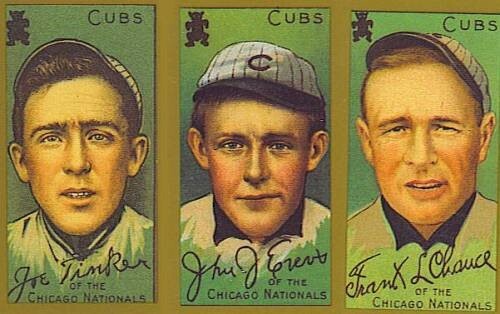 Baseball historians will tell you that the greatest double play combination of all time was the Chicago Cubs trio of shortstop, Tinker, second baseman, Evers, and first baseman, Chance, in the early 1900’s. Tinker’s and Evers’ personality conflict went way beyond dislike. They despised one another. They even came to blows on the field in 1905. Imagine the chaos in the opposing dugout when they rushed onto the field only to discover that no one from their team was in the fight. If you know much about baseball, you probably know that turning the double play is one of the riskier events in a game. Your health is totally dependent on the good will of the person trying to “break up the double play” and the person trying to provide the ball to the “turner” so they can complete the play without the need of an orthopedic surgeon. In the early days of baseball when people like Ty Cobb were notorious for coming into second base with “spikes up” (and in Cobb’s case, sometimes sharpened), getting the ball there just a bit late or in the wrong spot could end a player’s career. So, the fact that these two players who hated each other’s guts were willing to do what was necessary to win despite their personal feelings says a lot about their dedication to their team and the game. They feuded for years and would not speak to one another except as necessary during a game. Only 33 years later when both were asked to appear on a radio broadcast (where neither one knew the other was invited) did they talk to one another. This is an extreme example that it is not necessary to like everyone you work with to be successful.